SAEFET is a method of assisting others to optimize their energy fields; relieving stress, and enhancing feelings of well-being. It incorporates the most effective and least difficult ideas from ancient and modern energy enhancement systems to achieve the greatest benefit with the least effort, distilling the essence of these traditions into a safe, effective, and easy to use, assisted energy field interaction modality. Living human beings are made up of not only the obvious dense physical tissues, but also of subtle energy fields. These energy fields surround, permeate, and interact with the physical body, mind, and spirit. The condition of the body, mind, and spirit is reflected in the balance and strength of these energy fields. It is believed that strengthening and balancing human energy fields can have a beneficial, normalizing effect on the whole person. The influences of modern cultural, technological, and environmental stressors tend to interfere with optimal energy flow, strength, and balance. Illness and injury are also believed to cause undesirable changes in human energy fields. Unassisted energy field enhancement practices, such as Tai Chi, Qigong, and Yoga can be used to self-adjust one’s own energy. Unfortunately, even adepts may have difficulty self-adjusting without help when their energy fields are disrupted by injury, shock, or illness. Practitioners trained and skilled in assisted energy modalities are often able to positively influence a client’s energy fields more effectively than the client can alone. SAEFET is a practitioner assisted technique utilizing a unique combination of easy breath-work, gentle energy-point tapping, and verbal affirmations. Its goal is to address the spiritual and subtle energetic components of the human whole to help relieve stress and pain, and encourage a feeling of well-being. SAEFET﻿ is designed to be compatible with and non-interfering to other modalities, especially conventional medical treatment. SAEFET﻿ is not a medical treatment, and should not be considered to be a substitute for care from medical professionals. SAEFET﻿ draws on many ancient and modern spiritual and philosophic traditions, but is not part of any particular religious system, nor does it require any particular religious belief or practice. SAEFET﻿ requires no equipment or devices. It is pleasant to receive and easy to learn. 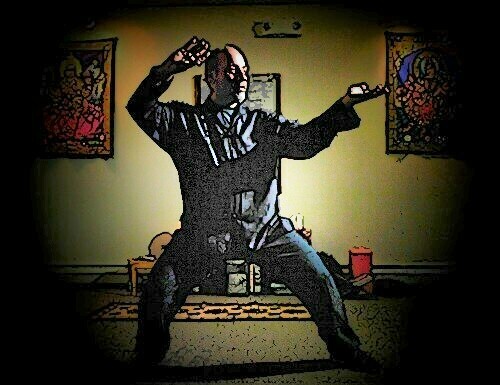 SAEFET﻿ was developed by Jan Gyomber in 2010 as a result of decades of study and research into the subtle-energy components of various martial arts, spiritual practices, and alternative health modalities.